Roitfeld has been the editor-in-chief of French Vogue for the past seven years, ever since she took over from Joan Juliet Buck. Thanks to her, the magazine became an international reference. 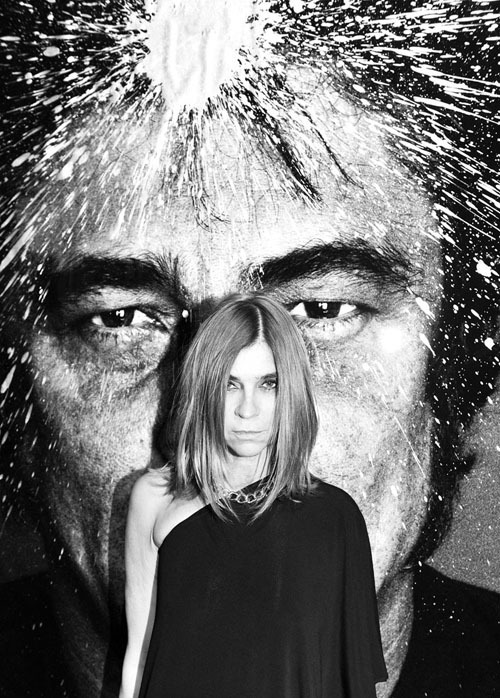 Carine Roitfeld first worked for several magazines. Eventually she was discovered by Tom Ford and teamed up with him as a stylist. Roitfeld has given the magazine a new dimension, with an international, high end look in collaboration with the best photographers in the world. The fashion writer has decided to end her 10-year association with the prestigious magazine as she wants to concentrate on personal projects. She has a unique and inspiring way of working: when she styles a fashion shoot, she does not start with the clothes. She looks first at the model and comes up with a story. Carine has become widely known as a beacon of style, fulfilling the role with charm and graciousness.It will be hard to be as good as her, but the new editor-in-chief will be anounced in January. The website of Paris Vogue played tribute to its departing editrix with a photo gallery showcasing 50 of Roitfeld's signature looks. I will miss her input in the magazine. And you? Oeh.. zeker thumbs up! Hoop dat de wegen dan al een beetje begaanbaar zijn.. :)! Ahhh die foto's zijn wel mooi. Echt jammer dat ze weggaat..